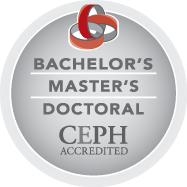 For the past 25+ years, my research has focused on understanding the molecular mechanisms of bone marrow toxicity caused by benzene and other toxic chemicals, including butadiene, formaldehyde, tricholoroethylene, and arsenic. Our investigations have mainly involved the detection of biomarkers associated with these chemical exposures in molecular epidemiological studies. We investigated specific chromosomal aneuploidies and rearrangements in many of these studies, as well as in mature and progenitor human cells by a molecular cytogenetic method named FISH (fluorescence in situ hybridization). To identify additional novel biomarkers and disease-related mechanisms associated with these chemical exposures, we have developed and continue to employ many high-throughput technologies, such as single-cell genetic analysis (SCGA), advanced omic-based methodologies, next-generation sequencing (NGS), RNAi (RNA interference), and, most recently, CRISPR-Cas9. Besides my long-term involvement and contributions to the Northern California Childhood Leukemia Study (NCCLS), I have been a co-project leader and/or co-principal investigator in the Center for Interdisciplinary Research on Childhood Leukemia and the Environment (CIRCLE), the Superfund Basic Research Program (SBRP), and the Center for Exposure Biology (CEB) at Berkeley. Building on my concern for the recent increase in China’s environment-related health issues, I actively continue to forge connections with leading Chinese institutions to advance research into this crisis. Guo J, Zhao Y, Jiang X, Li R, Xie H, Ge L, Xie B, Yang X, Zhang L (2018). Exposure to formaldehyde perturbs the mouse gut microbiome. Genes (Basel). 9(4):pii:E192. PMID: 29614050. PMCID: PMC5924534. De La Rosa VY, Asfaha J, Fasullo M, Loguinov A, Li P, Moore LE, Rothman N, Nakamura J, Swenberg J, Scelo G, Zhang L, Smith MT, Vulpe CD (2017). High-throughput functional genomics identifies modulators of TCE metabolite genotoxicity and candidate susceptibility genes. Toxicol Sci. 160(1):111-20. PMID: 28973557. Regazzoni LG, Grigoryan H, Ji Z, Chen X, Daniels SI, Huang D, Sanchez S, Tang N, Sillé FC, Iavarone AT, Williams ER, Zhang L, Rappaport SM (2017). Using lysine adducts of human serum albumin to investigate the disposition of exogenous formaldehyde in human blood. Toxicol Lett. 268:26-35. PMID: 28104429. PMCID: PMC5555303. Wei C, Wen H, Yuan L, McHale C, Li H, Wang K, Yuan J, Yang X, Zhang L (2017). Formaldehyde induces toxicity in mouse bone marrow and hematopoietic stem/progenitor cells and enhances benzene-induced adverse effects. Arch Toxicol. 91(2):921-33. PMID: 27339418. Shen H, McHale CM, Haider SI, Jung C, Zhang S, Smith MT, Zhang L (2016). Identification of genes that modulate susceptibility to formaldehyde and imatinib by functional genomic screening in human haploid KBM7 cells. Toxicol Sci. 151(1):10-22. PMID: 27008852. PMCID: PMC4914802. Carlos-Wallace FM, Zhang L, Smith MT, Rader G, Steinmaus C (2016). Parental, In Utero, and Early-Life Exposure to Benzene and the Risk of Childhood Leukemia: A Meta-Analysis. Am J Epidemiol. 183(1):1-14. PMID: 26589707. PMCID: PMC4751231. Shen H, McHale CM, Smith MT, Zhang L (2015). Functional Genomic Screening Approaches in Mechanistic Toxicology and Potential Future Applications of CRISPR-Cas9. Mutation Research Reviews. 728(3):118-138. PMID: 26041264. PMCID: PMC4456615. Lan Q, Smith MT, Tang X, Guo W, Vermeulen R, Ji Z, Hu W, Hubbard AE, Min S, McHale CM, Qiu C, Liu S, Reiss B, Beane Freeman L, Blair A, Ge Y, Xiong J, Li L, Rappaport SM, Huang H, Rothman N, Zhang L (2015). Chromosome-Wide Aneuploidy Study (CWAS) of cultured circulating myeloid progenitor cells from workers occupationally exposed to formaldehyde. Carcinogenesis. 36(1): 160-7. PMID: 25391402. Zhang L, Samad A, Pombo-de-Oliveira MS, Scelo G, Smith MT, Feusner J, Wiemels JL, Metayer C (2014). Global characteristics of childhood acute promyelocytic leukemia. Blood Reviews. 29(2): 101-125. PMID: 25445717. PMCID: PMC4379131. Ye X, Ji Z, Wei C, McHale CM, Ding S, Thomas R, Yang X, Zhang L (2013). Inhaled formaldehyde induces DNA-protein crosslinks and oxidative stress in bone marrow and other distant organs of exposed mice. Environmental and Molecular Mutagenesis. 54:705-718. PMID: 24136419. Zhang L, Bassig BA, Mora JL, Vermeulen R, Ge Y, Curry JD, Hu W, Shen M, Qiu C, Ji Z, Reiss B, McHale CM, Liu S, Guo W, Purdue MP, Yue F, Li L, Smith MT, Huang H, Tang X, Rothman N, Lan Q (2013). Alterations in serum immunoglobulin levels in workers occupationally exposed to trichloroethylene. Carcinogenesis. 34(4):799-802. PMID: 23276795. Zhang L, Lan Q, Ji Z, Li G, Shen M, Vermeulen R, Guo W, Hubbard A, McHale CM, Rappaport SM, Hayes RB, Linet B, Yin S, Fraumeni JF, Rothman N, and Smith MT (2012). Leukemia-specific chromosomal loss detected in hematopoietic progenitor cells of benzene-exposed workers. Leukemia. 26(12):2494-8. PMID: 22643707. Zhang L, Lan Q, Guo W, Hubbard AE, Li G, Rappaport SM, McHale CM, Shen M, Ji Z, Vermeulen R, Yin S, Rothman N and Smith MT (2011). Chromosome-wide aneuploidy study (CWAS) in workers exposed to an established leukemogen, benzene. Carcinogenesis. 32(4):605-612. PMID: 21216845. Zhang L, Tang X, Rothman N, Vermeulen R, Ji Z, Shen M, Qiu C, Guo W, Liu S, Reiss B, Freeman LB, Ge Y, Hubbard AE, Hua M, Blair A, Galvan N, Ruan X, Alter BP, Xin KX, Li S, Moore LE, Kim S, Xie Y, Hayes RB, Azuma M, Hauptmann M, Xiong J, Stewart P, Li L, Rappaport SM, Huang H, Fraumeni JF, Jr., Smith MT and Lan Q (2010). Occupational exposure to formaldehyde, hematotoxicity, and leukemia-specific chromosome changes in cultured myeloid progenitor cells. Cancer Epidemiology, Biomarkers & Prevention. 19(1):80-8. PMID: 20056626. Zhang L, Steinmaus C, Eastmond DA, Xin XK and Smith MT (2009). 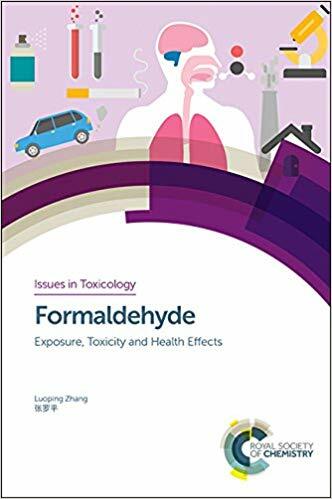 Formaldehyde exposure and leukemia: a new meta-analysis and potential mechanisms. Mutation Research Reviews. 681(2-3):150-168. PMID: 18674636.